The actor relives some moments from the shooting and explains why Valu is such an important film for Marathi cinema. 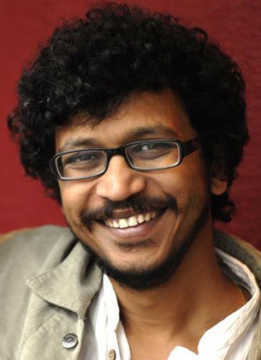 Umesh Vinayak Kulkarni, one of the more sensible filmmakers in Marathi cinema today, began his journey with Valu: The Bull (2008) and, well, hit bull's eye. The comedy set in a village had an ensemble cast of Atul Kulkarni, Girish Kulkarni, Dilip Prabhavalkar, Amruta Subhash, Mohan Agashe, Nandu Madhav, Veena Jamkar, Renuka Daftardar, and Bharati Achrekar, not to forget Raja the bull. The film's story was about a wild bull named Valu who creates havoc in a village in Maharashtra. Forest officer Swanand Gaddamwar (Atul Kulkarni) is assigned the task of getting the animal under control. The film completes 10 years today (25 January). 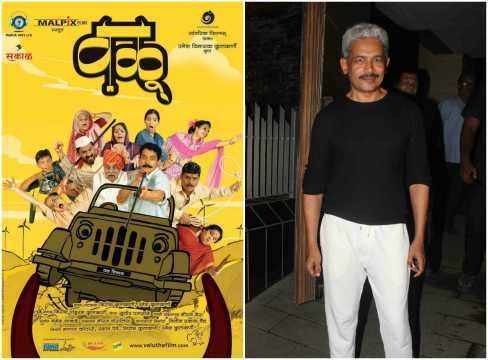 On the occasion, Atul Kulkarni relived memories of the shooting and explained why he believes Valu is such an important film for Marathi cinema. Kulkarni said the film's success was much bigger than its box-office numbers suggest. “Ten years ago there were not so many multiplexes [in Maharashtra]," he pointed out. "The film was running all over the state on single screens. So, it was much more difficult to take the film to the people. Considering these conditions, the kind of business Valu did, I think if it were released today it would have safely been one of the highest grossers in Marathi." Kulkarni explained that the only reason he was referring to box-office numbers was to give a sense of the number of people who would have seen the film if it were to be made and released today. Asked about his casting, Atul Kulkarni said it was an instant yes from him. “He [Umesh Kulkarni] read out the script to me. I loved it and we did the film,” he said. Recalling challenging and funny moments during the making of the film, Kulkarni revealed that the bull had no trainer. “The real name of Valu was Raja. There was no trainer as such. Valu just came with his owner," he recalled. "We used different things to make him do what we wanted him to do. Naturally, he would do the opposite. When we wanted him to run, he wouldn’t. When we wanted him to stay [at one place], he wouldn’t. He was naturally attracted to a lot of cows around (laughs). In between all this, we shot the film. Without a trained Valu there were challenges. But we overcame them,” Kulkarni said. The actor, however, had some security concerns while shooting the film. “I was quite jittery because I strongly believe in safe shooting," he said. "I remember Amruta Subhash sitting on a buffalo and falling down. I scolded her for agreeing to sit on the buffalo. "I also remember making a human chain near a valley towards which we were supposed to run. I refused to shoot until the human chain was in place as there could have been an accident. You can imagine the facilities we had 10 years ago." The film had sweet chemistry between the characters played by Atul Kulkarni and Girish Kulkarni, especially in the last scene when they thank each other. 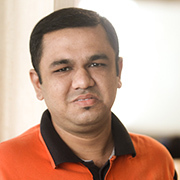 Atul gave a large share of the credit to Girish’s writing.